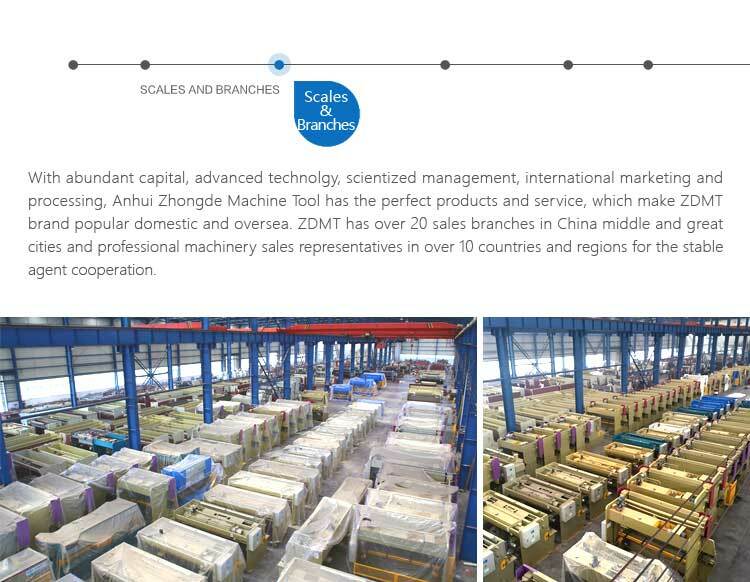 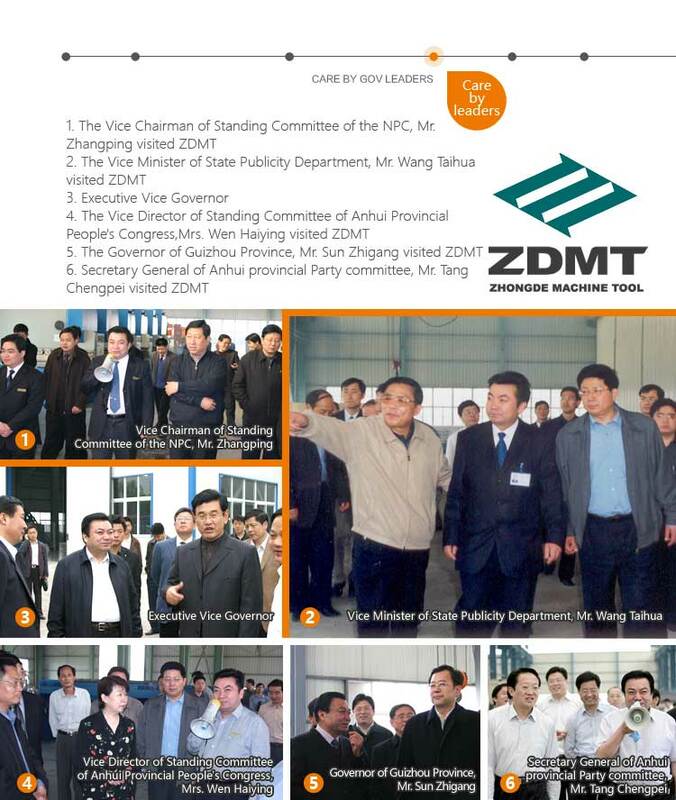 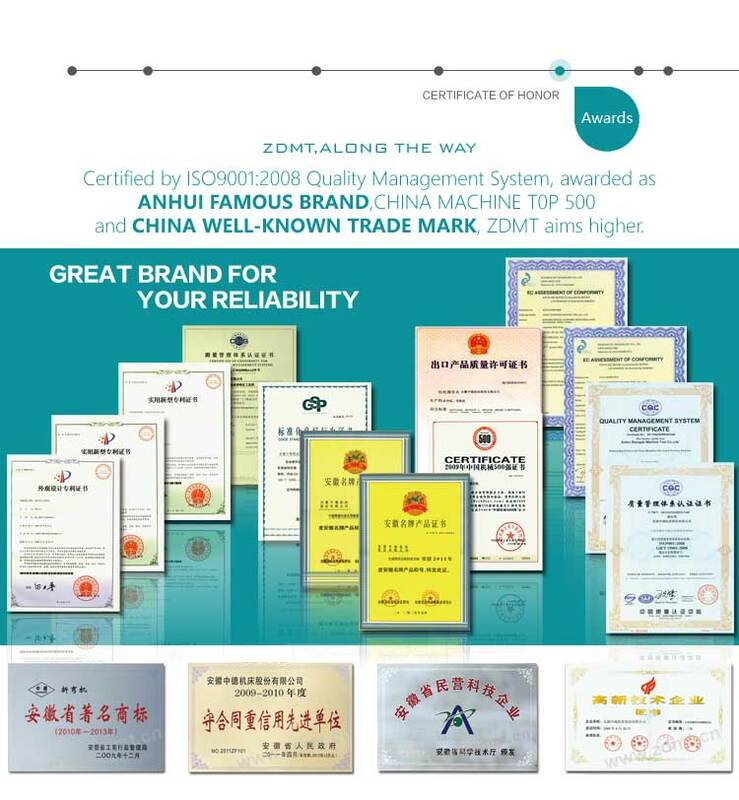 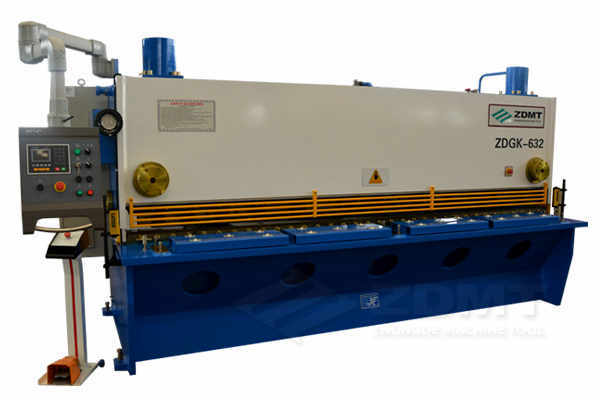 ZDGK-632/QC11K-6x3200 General Model Hydraulic Guillotine Shear for Metal Sheet Cutting - ANHUI ZHONGDE MACHINE TOOL CO., LTD. 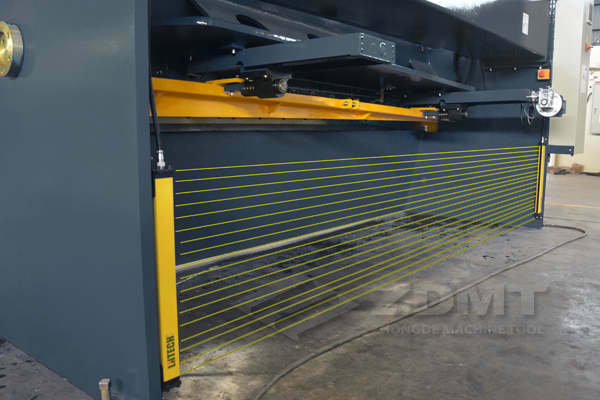 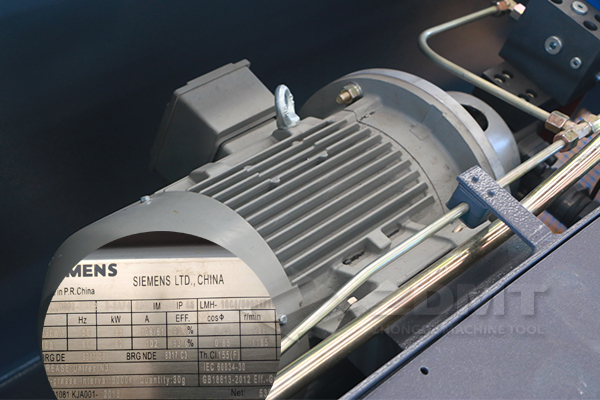 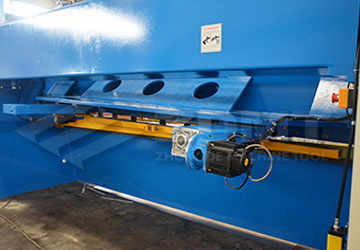 The model of this hydraulic guillotine shearing machine is ZDGK-632 (QC11K-6x3200),it can cut 6mm thickness and 3200mm length carbon steel plate.Steel welded structure with stress-free;three guide trolleys enable accurate movement and fine shearing results;adjustable rake angle to minimize deformation of sheared plate;both upper blade and lower blade has 4 cutting edge for long lifespan of using. 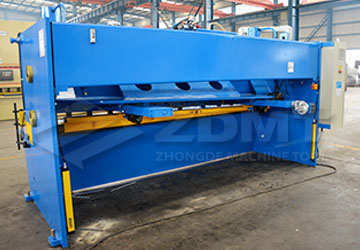 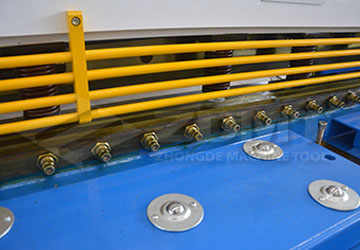 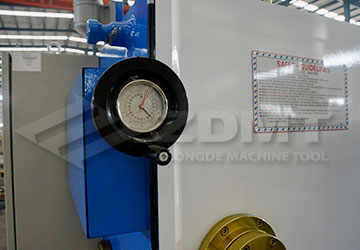 ● Rear view of ZDGK-632 hydraulic guillotine shear machine. 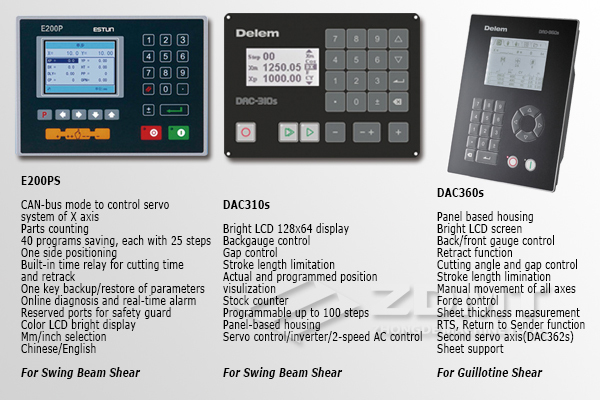 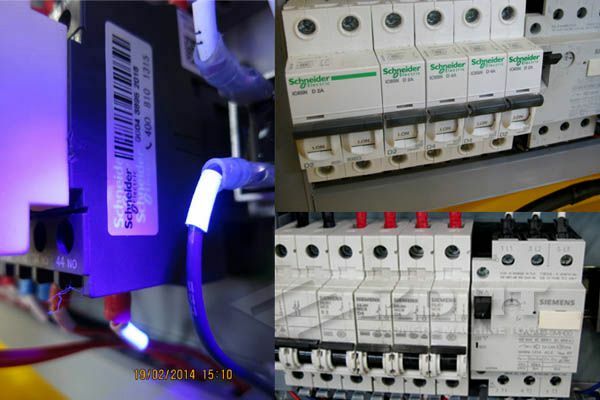 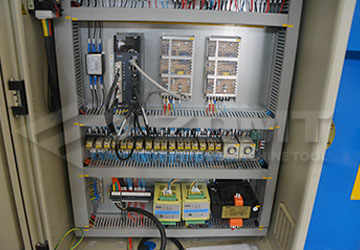 ● E200PS advanced CNC controller for ZDGK-632. 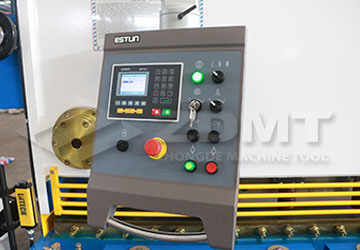 ● Ball worktable can reduce the sheet metal friction from the workbench to reduce working intensity;Penetrant guard fence around the shear,not only protect the safety of operator but also allow to observe the shearing position. 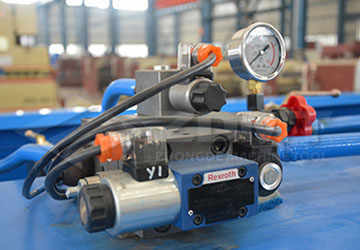 ● Rexroth(optional) high quality hydraulic system,high pressure resistant and good performance. 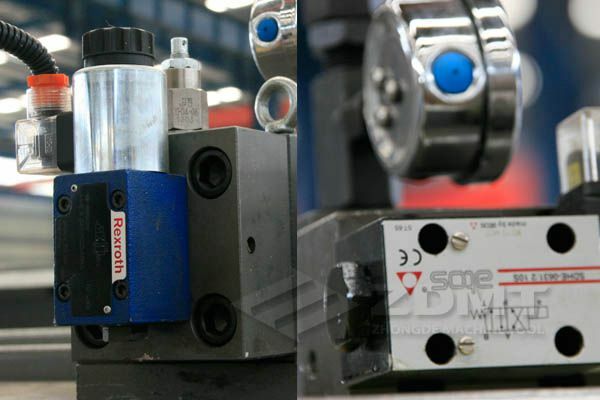 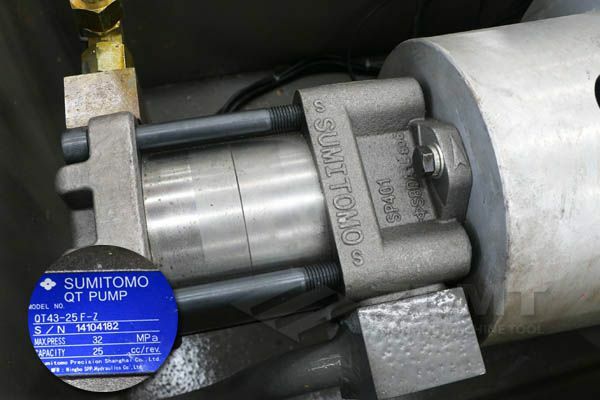 ● Full-metal pipeline for hydraulic oil,nonexpansion when high temperature,can guarantee precision for long time. 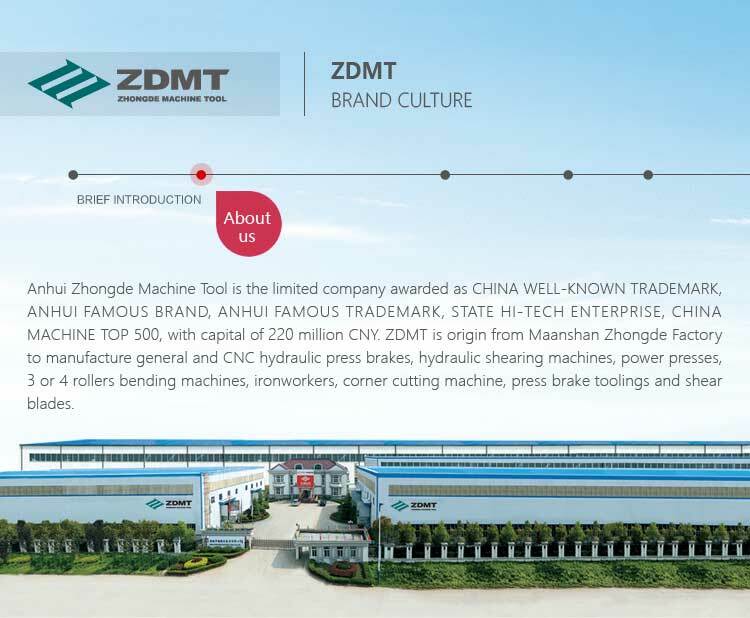 ● Guillotine type knife base structure ensures blades going up and down by vertical movement and the machine bearing with small stress and wear-free. 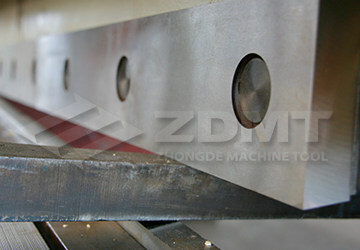 Hence the guillotine shear can accurate control blade clearance for long time and can adjust the shearing angle.